This is a simple and effective protocol most commonly used to isolate mononuclear cells AKA PBMCs from human blood which was devised back in 1968. The Lymphoprep Tube is a sterile tube in that contains the Lymphoprep (separation medium) under a plastic filter disc. This allow the PBS-diluted blood to be poured directly into the tube, while the filter disc prevents any mixing with the separation medium. 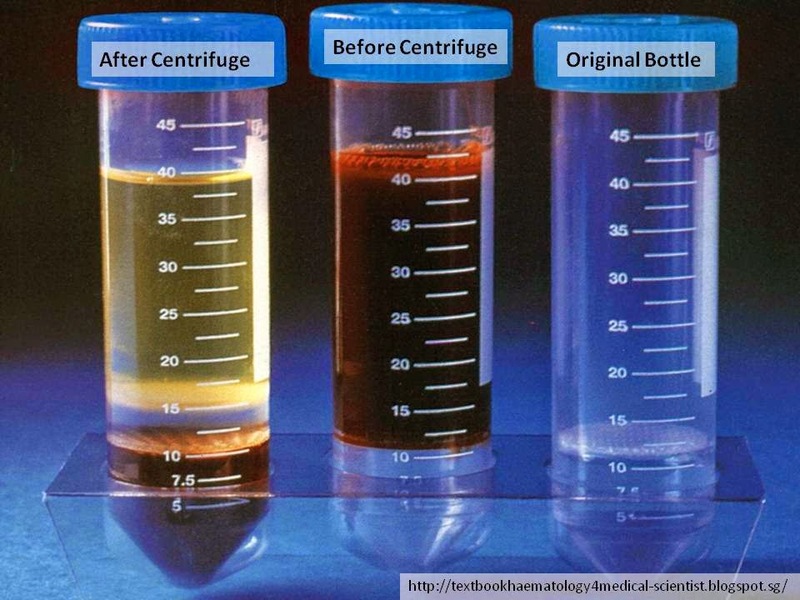 The separation principle is largely synonymous to the widely known density gradient centrifugation. On further elaboration, this procedure uses the strong centrifugal force to force components in solution to be "layered" according to their density. According to physics, the higher the density (heavier mass) of a component, the lower portion the component will be found in the tube. Therefore, the Lymphoprep Tube uses this theory to "purify" and isolate the PBMCs. The Lymphoprep solution is a specially formalized separation medium that has a density of 1.077 g/ml. Since RBCs and polymorphonuclear granulocytes (Neutrophils, Eosinophils) are cells that have a density more than 1.077 g/ml, they will be forced through the filter disc and pellet at the bottom of the tube. As a consequence, the Lymphoprep Solution will be displaced and is "pushed" upwards. The mononuclear cells (PBMCs) - lymphocytes and monocytes are known to have densities lighter than 1.077 g/ml, hence they will be found just above the Lymphoprep Solution and this layer is commonly known as the buffy layer. 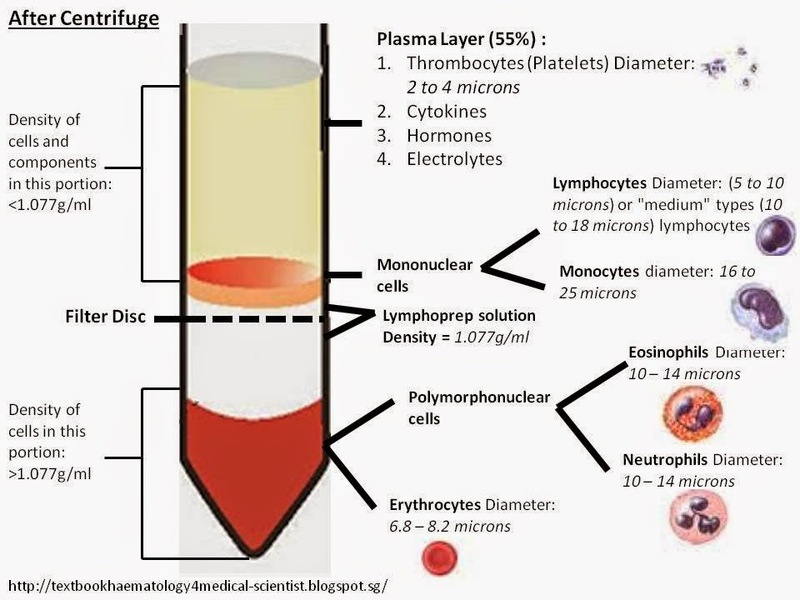 Lastly, there are other components found in the plasma such as electrolytes, hormones, enzymes and tiny cells known as platelets will be found just above the buffy layer.